• This is a International Call for Palliative Pour. • Artists are invited to submit recent ceramic drinking vessels created for the consumption of distilled and fermented beverages, created within the last 2 years. • All submissions must be of original design and personal execution, collaborations are always acceptable. • Exhibition Dates: March 2-10, 2018, at Threadbare Cider & Mead, Pittsburgh, PA. Attendance is not required to participate. ATTENTION: Before submitting, read and understand these requirements thoroughly. This is a Paid Submission process. Registration Fee - $25.00 includes up to 2 submissions; additional submissions cost $5/ea up to 4 total submissions. Email beforehand if you have questions about the submission process. • EXTENDED Deadline for Submission: Wednesday December 27, 2017, 11:59pm. • Notification of selected work by email: Tuesday, January 12, 2018. • All Art must have been created in the last 2 years and complete. • Maximum allowed size: 6" L x 6" W x 10" H, or objects of relative cubic volume. Artists may submit up to 4 works. Image files must be in jpg (jpeg) or Png formats and high quality. File size requirments: 4MB maximum per image. Image Minimum length on longest side: 1000 pixels. Image maximum length on longest side: 2000pixels. The details are important, use the best possible images of your work. Rejection of your work may be the result of poor image quality. Use a Photo editing program to adjust the size of your images, if you do not own any photo editing programs search Google "free photo editing software." One free program with good reviews is PhotoPad, available here: http://www.nchsoftware.com/photoeditor it works on Windows and Mac. Image File naming format: (All images submitted must be named in this manner). Lastname_Firstname_ArtworkTitle, (example: Doe_Jane_Whiskey Bowl.jpg). If the title is long, a shortened version is acceptable. "Untitled" works must include a number or descriptor (example: Doe_Jane_Untitled1.jpeg, or Doe_Jane_UntitledCopperRed). All entries received will be viewed and selected by Chris Gustin. Selected Work: The Jury process will begin following the deadline, If your work is selected, and you are shipping, it must arrive presentation-ready by February 16, 2018. If your work is selected, and you are hand-delivering, it must arrive presentation-ready by February 23, 2018. Please consider those costs when pricing your work; shipping and/or other costs of transport are the responsibility of the Artist. • All art must be for sale and priced by the artist. Palliative Pour charges a 25% commission on all sold work. Payment for sold work is sent via check to the artist at their registered address, within 14-21 days following the closing of the event. • Pre-approval must be obtained for any work listed as "Not For Sale", (NFS), this only occurs in very rare and limited circumstances. Shipping Note: If accepted, shipping or delivery TO AND FROM the Exhibition, and costs associated with it, are the responsibility of the Artist. Submission of an entry in this competition automatically constitutes the entrant's acceptance of all competition rules, as well as its terms and conditions. This entry also gives the Exhibition the permission to use a photo likeness of your artwork for marketing proposes. The juror’s decision is final and no correspondence will be entered into. Accepted artists will be notified by email. Palliative Pour reserves the right to withdraw acceptance if the quality does not reflect the images submitted or if the artist violates requirements. The Artist shall hold Palliative Pour harmless from and against any loss, expense, or damage occasioned by any claim, demand, suit, or recovery against Palliative Pour arising out of the exhibition and sale of the work, or for the use of the work by Palliative Pour in the promotion and advertising of the exhibition. Every reasonable precaution will be taken to assure protection of selected work, however Palliative Pour assumes no responsibility for loss or damage from any cause - including shipping to, or from the show, submit at your own risk. • Collect all of your data and prepare images before submitting. • Submit the best images possible. Photos should be clear and accurately represent your submissions. • Only submit work that falls within the size dimension guidelines. • Make sure that your image files are in jpeg format and 4MB or less. • When pricing your work, remember to include other costs, for framing and shipping, etc. • Artirsts are resposible for all shipping fees, both to and from the show. an incorrect email address will result in you not receiving any notifications. • Submit early, to avoid last minute problems. This allows time to adjust any issues. • IMPORTANT: Make sure your web browser is current and up-to-date. The first step is to carefully read and understand these guidelines. You will need to have your credit card ready to make your $25 registration fee payment. You will pay only once to submit up to three (2) works. Fees are non-refundable. After registering and creating your account, login to your account using the email address and password that you registered with. Find the Login button in the upper right corner of the page. Once logged in you will enter the details about your first submission, and then upload the image file for that submission. After that, you can continue entering the remainder of your submissions, or you can logout and come back at a later time to enter more or to make edits to your account or submission information, this option to edit is only available until the submission Deadline December 20, 2017. 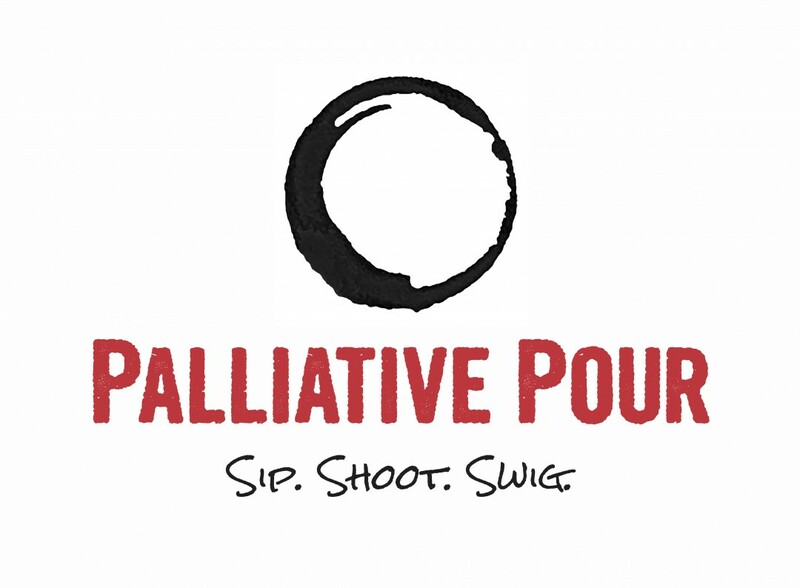 To log back into your Palliative Pour Submission Account, return to PalliativePour.artcall.org and click the Login link at the upper right of the page. Please read the requirements carefully. By submitting, you are agreeing to these guidelines and out Terms and Conditions. DELIVERY OF ART WORK: Artists whose work is selected to be in Palliative Pour will receive notification with instructions, dates and times for delivery or shipping to the Exhibition.